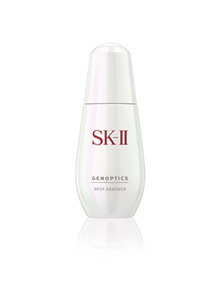 Insure your skin against future spots and UV damage with SK-II’s award-winning GenOptics collection. 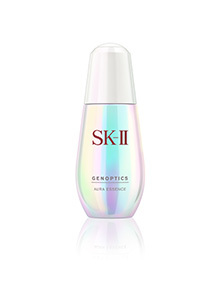 Harnessing SK-II's latest breakthrough in whitening, the GenOptics whitening range of skincare products will keep your skin radiant for years to come. Featuring GenOptics Aura Essence and GenOptics Spot Essence, this innovative whitening series targets the effects of UV damage – both visible and hidden – to improve your skin’s radiance while acting as insurance against future spots and damage from UV exposure. 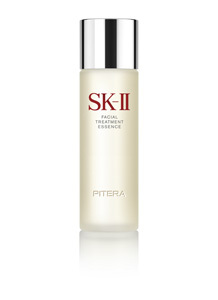 SK-II's whitening boutique has won over 580* beauty awards since its launch globally in 2003. More recently, its signature whitening product GenOptics Aura Essence has become a top favourite with magazine editors and women looking to restore radiance and improve skin tone. Although some effects of skin damage from UV such as darkness and rough texture can be seen immediately, extended UV exposure also causes skin issues that aren’t yet visible – namely, hidden spots and ‘clouds’ that block the skin’s natural aura, making the skin appear darker and less radiant. A long-term SK-II study revealed that women in their 20s dramatically lose more radiance in their skin than any other age group. Over time, the hidden spots and clouds caused by UV damage in our 20s can eventually surface and become visible spots. 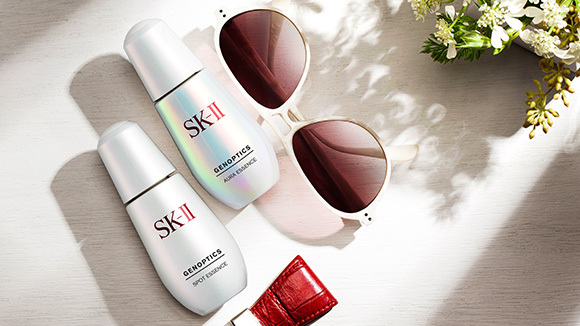 Banish those current and hidden spots now and reduce darkening caused by UV with SK-II’s GenOptics Aura Essence and GenOptics Spot Essence. The whitening complex in GenOptics Spot Essence, meanwhile, contains Lumina Kelp Extract to reduce current and hidden spots, while also preventing future spots. To visualize the effects of UV exposure on your skin before they surface, book an appointment for a Magic Ring test. 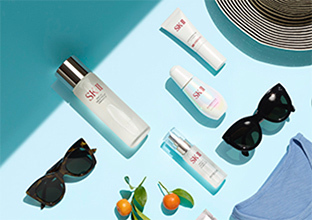 SK-II has updated its Magic Ring program with a "Cloud Meter" to show signs of UV damage in your skin, including visible spots and even hidden clouds, so you can act before it's too late. Using SK-II’s GenOptics whitening series, you can insure your skin against spots and darkness for a beautifully radiant future. *All global beauty and magazine awards from 2003 to 2016. Separating fact from fiction about summer skincare and the hazards of UV.